When Jarod received a non-running car for his 16th birthday, he needed to find a way to make money. He had been doing odds jobs for his aunt and she asked him to mow the yard one day. Her neighbor saw him mowing and then asked him to mow hers as well. At that moment in 2012, Bull Dog Lawn and Landscaping was born. 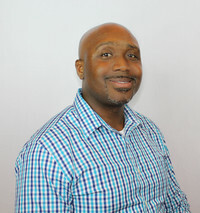 Originally from Buffalo, New York, Jarod and his family moved to Deland, Florida 5 years. "Coming from the cold winters in Buffalo, I was super excited to move to a warmer climate. I heard nothing but good things about the Deland area and it has not disappointed," Kolmetz says. 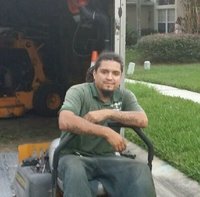 Kolmetz and his Bull Dog crew cut grass in Apopka, Florida, Deltona, DeBary, Sanford, Lake Mary, Orange City, Atlamonte Springs, Orlando, and even mow lawns in Winter Park, Florida. Bull Dog Lawn has grown to servicing 75 homeowners per week and just added some commercial properties in Orlando. Not only will Bull Dog Lawn & Landscaping handle your regular landscaping needs, they will also handle low level tree work, cleanups, check sprinkler systems, leaf removal, mulching, sodding, aeration, shrub and bush trimming, and build your patio or deck. When asked what has helped him grow his business so quickly, Jarod relied "We want to be the easiest company to work with." He goes on to add, "We send our customers newsletters or upcoming services they may need, we send text messages when we are on our way, and we get to know all of our customers on a first name basis, " Kolmetz says. "Our crew will make sure that the customer is always getting what they want." What brought and is keeping Jarod in this industry is his love for the work. "Growing up, I always loved riding on tractors and being outside. Tractor is a little different now, but I get to do that every day and I still enjoy it," Jarod laughs. Extreme sports are another one of Jarod's passions. He enjoys snowboarding, playing football, riding ATV's, and going mudding. He also loves spending time with his family who all live in the Deland, FL area as well. When he is hungry, you can find him at LaSpada's Original Cheesecakes & Hoagies off of Volusia Ave.
Jarod graduated from Deland High School and is currently pursuing a Finance and Marketing degree with a minor in Entrepreneurship at Stetson University. Also , if you are wanting lawn care services in Winter Park Fl we cover the greater Orlando area and also mow lawns in Apopka Florida. Thank you for considering our company for your lawn mowing needs we really appreciate your consideration. We look forward to taking on your yard as a lawn care and yard maintenance client for this lawn mowing season and for many more lawn cutting seasons to come. We recently extended our services to the Winter Park Florida area for years ago. At first it was a little tough because we only had one or two lawnmowing clients in Winter Park, but we have a motto of taking care of our customers one at a time and they will grow from there. That certainly has proved to work out for us because our lawn mowing business in the Winter Park area has doubled every year for the past four years. You can rest assured that we operate professional grade lawnmowers so you don't have to worry about our lawn mower equipment scalping your yard are leaving a bunch of grass clippings left over. We also sharpen our lawn cutting blades for our lawnmowers once a week because Saint Augustine turf that grows in the Winter Park area requires a good short blade to give it that freshly cut grass lawn look. We service the Winter Park area from Lake Killarney to Central Florida Research Park, so if your yard is in between those two points we can certainly take care of it for you. If you're needing a one time lawn mowing cut we can take care of that however it's our goal to build a long-term relationship with you and take care of your lawn care needs and yard maintenance needs for years to come. Also if you have any neighbors or friends and family in the Winter Park area ask us about our group lawn care rate. Typically a lawn cut in the Winter Park Florida area is around $30 per mowing however if you get four or five of your neighbors to have the lawn cut on the same day we can usually knock five dollars off per cut and that adds up. Most lawn care companies in the Winter Park Florida area will charge $30-$40 per cut however we feel like building a long long-term relationship with our customers is the way to go and not to make a big killing off of each lawnmowing. We also provide full-service landscape maintenance and yard maintenance should you need any other services such as shrub pruning, irrigation system maintenance, or flower installation. If you need lawn fertilization we also know of some good companies I specialize in lawn fertilization in the Winter Park area that we can refer you to. Thank you again we look forward to taking care of your yard and lawn care maintenance for this year and years to come in the Winter Park, FL area. Also , if you are wanting lawn care services in Orlando Fl we cover the greater Orlando area and also cut grass in Apopka Fl. 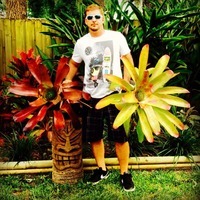 Hello there and welcome to your next lawn care professional to take care of your yard for you in Winter Park Florida. OK OK I don't mean to be so forward but really we would love to maintain your lawn and yard for you this lawn mowing season. I'm sure you see dozens of lawn care professionals riding up and down Osceola Avenue in Winter Park but the difference between our lawn mowing business and those other yard maintenance companies in Winter Park is that we will actually return your phone call when you need us. So many of our customers throughout the Winter Park area tell us that their last lawn care service would never call them back when they left a voicemail needing something extra yard work done around the yard. We have a 24 hour guaranteed return call policy for any of our lawn care customers needing additional work done. Whether you’re wanting this to discuss something about the previous lawn care service that we provide it for them or wanting to have bag their lawn clippings, we treat each and every lawnmowing customer that we have like our entire lawn care business is riding on it. And that is because it is. Also , if you need a lawn cut in Altamonte Springs FL we mow lawns there and also mow yards in Apopka Fl. We have built our lawn mowing service in Winter Park Florida one lawn cutting customer at a time and one yard at a time. Currently we are over 200 lawnmowing accounts throughout the greater Orlando area and recently we extended our lawn mowing service to Winter Park Florida. Immediately we picked up tons of customers near Lake Virginia and Lake Berry and have built sort of a foothold in that community over there. Many of the residents in Winter Park Fl area like how we consistently edge the grass on their driveway and sidewalks in the yard and pay attention to details like that. Other lawn mowing companies don't worry about the lawn details like that. It's through attention to these details in your yard is how we earn your lawnmowing business for this year and many other lawn mowing seasons to come. So if you're ready to get an affordable and professional lawn care service quote from our lawn care business go ahead and click the little button below my bio here and you will get a free lawn cutting quote from me. After that lawnmowing goes well, we can then discuss setting up additional yard maintenance service for other maintenance items around your house such as pruning of your shrubs, removing weeds from your landscape beds, re-seeding your lawn in the fall, and any other maintenance needs you have for your yard. It is our pleasure to be considered your reliable lawn care service in Winter Park Florida. Thank you for your consideration. Thanks for checking us out, I am happy that you're considering us for your yard maintenance needs, we have been servicing the Winter Park Florida area for three lawn care seasons now and have been building our lawn care customer base one satisfied yard cutting customer at a time. Lawnmowing is kind of funny in the way that you get what you pay for with lawn mowing services. Sure you can hire a cheap lawn cutting service in Winter Park Fl for mowing however the question is are you going to be satisfied with what you get? Sure if you're looking to just knock the grass down and keep the city of Winter Park from fining you due to tall grass, then go ahead and hire a cheap lawn mowing service in Winter Park Florida. But if you want your yard to be something that you are proud of something that your neighbors will envy well than we are the right yard maintenance company for you. We take our time cutting your grass and mowing your lawn to make sure it looks as good as our lawn. We will not leave a bunch of grass clippings after we are done mowing, and we will not skip edging the grass off of your driveway and curbs and sidewalks and patios like other lawn mowing services in the Winter Park Florida area. We do not mow on the highest speed like other lawn cutting businesses do, if it takes a little longer to mow your yard and do a good quality job of cutting it then that's what we will do. Not in Winter Garden.... no problem , we also offer lawn care services in Orlando Fl we cover the greater Orlando area and also mow lawns in Apopka Florida. We also provide other yard maintenance services that you'll need throughout the lawn care season such as maintaining your shrubs, re-seeding your turf every fall, cleaning up the leaves during the winter months here in Winter Park, pruning any trees if necessary. Other lawn care services in the Winter Park Florida area do not offer these additional services, all they will do it's just cut your grass. We have 12 lawn care customers right by Winter Park High School, so if you're in that area we are a perfect lawn care fit . So with all that being said let me just say I appreciate your consideration in hiring us for your yard maintenance needs and it's our goal to be the last lawn care service you ever have to hire for your yard in Winter Park Florida. Not in Winter Park, FL? Hello and welcome to the Winter Park Florida lawn care and grass cutting services guide. If you're needing your yard maintained or lawn mowing for your home in Winter Park Florida you have come to the right place. My name is Gary and it's my job to make sure you are satisfied with your entire GreenPal experience. GreenPal is the easiest way to find, interview, hire, and pay for lawn mowing, lawn cutting services and yard maintenance services in Winter Park Florida and Orange County area. GreenPal has gone out and done the legwork of finding the best lawn care services and yard maintenance business in the Winter Park area including the towns of Fairview Shores and Union Park Florida. I'm sure you are asking yourself how do we know these are the best lawn services in Winter Park, FL? Well let me explain the GreenPal lawn care services process to you a little bit. We have interviewed hundreds of lawn mowing services throughout the Winter Park FL area to find the most reliable and affordable lawn care services that you can hire. We check over their lawnmowers then we talk to other lawn mowing service customers that they have cut grass for in Winter Park and Orange County. After that we make sure they are setup to handle lawn mowing payments on our system and then we make them do an audition lawn mowing and grass cutting to check over the quality of their lawn care service work to make sure it meets the GreenPal quality mowing standards. We look to make sure that they edge the grass all of their lawn care customers curbs and weed eat the grass around obstacles in the yard and then blow off the grass clippings to make sure the lawn is all nice and neat when they are done. After they meet the GreenPal standard we set Winter Park lawn care businesses up so you can hire them easily on this website or with the GreenPal mobile app. Winter Park Florida is growing it was recently named one of the fastest growing communities in the state of Florida. That means that local lawn care services and lawn mowing business in Winter Park FL can be hard to get on the phone. Even though you may seen tons of lawn care businesses pulling lawn mowing trailers up and down Lakemont Avenue getting them to give you a lawn cutting quote for an affordable price is easier said than done. If you're looking for an affordable lawn cutting business you have probably found how hard it is to get one of them to even give you a lawn cutting quote. GreenPal eliminates all of this hassle by enabling you to get 3 to 5 free lawn cutting quotes with a few clicks of the mouse or tabs on your smartphone. Some of the lawn care businesses that operate their yard cutting business on GreenPal in the Winter Park FL are part-time students at Rollins College college while others might be fireman in the Winter Park fire department. These part-time lawn care pros are owner operators of their small lawn care business and will be the perfect fit for your yard maintenance needs. Why? Because with GreenPal you can hire and pay them seamlessly and easily to come cut your grass. So take this weekend off and let a Winter Park lawn care services pro come mow your yard for you in Winter Park Florida. Let GreenPal help you with the headache of finding scheduling in paying the best lawn care service and affordable lawn cutting service in Winter Park. Also, if you need lawn care services in Altamonte Springs Fl GreenPal covers lawn mowing for that are as well as yard services in Winter Springs Fl. The Winter Park area's first human residents were migrant Muscogee people who had earlier intermingled with the Choctaw and other indigenous people. In a process of ethnogenesis, the Native Americans formed a new culture which they called "Seminole", a derivative of the Mvskoke' (a Creek language) word simano-li, an adaptation of the Spanish cimarrón which means "wild" (in their case, "wild men"), or "runaway" The site was first inhabited by Europeans in 1858, when David Mizell Jr. bought an 8-acre homestead between Lakes Virginia, Mizell, and Berry. A settlement, called Lake View by the inhabitants, grew up around Mizell's plot. It got a post office and a new name—Osceola—in 1870. The area did not develop rapidly until 1880, when a South Florida Railroad track connecting Orlando and Sanford was laid a few miles west of Osceola. Shortly afterwards, Loring Chase came to Orange County from Chicago to recuperate from a lung disease. In his travels, he discovered the pretty group of lakes just east of the railbed. He enlisted a wealthy New Englander, Oliver E. Chapman, and they assembled a very large tract of land, upon which they planned the town of Winter Park. Over the next four years they plotted the town, opened streets, built a town hall and a store, planted orange trees, and required all buildings to meet stylistic and architectural standards. They promoted it heavily. During this time, the railroad constructed a depot (1882), connected to Osceola by a dirt road. In 1972, Henry Swanson, an agricultural agent and "resident layman expert on Central Florida water," wrote a letter to the editor warning Orange County mayors of the sinkhole danger that could be posed by overdevelopment and excessive groundwater use. Swanson predicted that the west Winter Park area would be especially at risk. In May 1981, during a period of record-low water levels in Florida's limestone aquifer, a massive sinkhole opened up near the corner of Denning Drive and Fairbanks Avenue. Fenced in backyard with a pen. Fenced in back yard with gates. 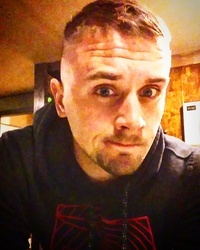 Mow, edge, blow. Trim shrubbery. Handle weeds. Big fence gate to take riding lawnmower through. One small fenced in doggy area that might require weedwacker or moving a couple of small fence pieces to get in. Handle leaves, but not being too perfect. After the first lawn mowing I would like the bushes and shrubs cut back and shaped. You may enter the back gate. However for June 7th I would like our yard to be trimmed as well. We really appreciate the help.